The Hague Agreement has provided international protection for industrial designs since 1925. The latest of several revisions, agreed upon at Geneva in 1999, is operational as of April 1, 2004, under the administration of the World Intellectual Property Organization (WIPO). The global protection of industrial designs, accommodating all forms of national protection systems, will be based on this treaty. a source book for the main treaty documents. 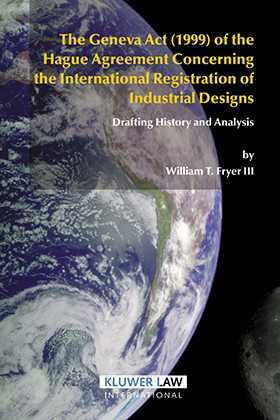 The book will be of inestimable value to lawyers worldwide working in intellectual property protection, as well as to industrial designers, businesses, and government officials in trade policy. It is an essential addition to all law libraries.